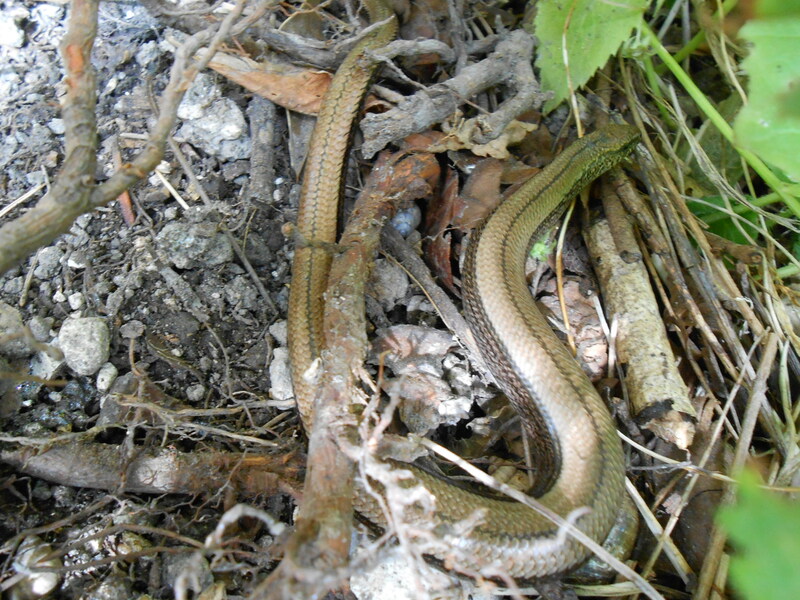 Wordless Wednesday — Slow worm, the Garden Hero that Eats Slugs! That’s the answer to my slug problem, right there. Now you’ve got to work out how to import slow worms to your garden as they’re very shy creatures that slither away extremely fast at the first sign of a human or canine shadow falling over them, or the slightest vibration on the ground. You’ve no idea the patience and stealth required to take that photo. Mine needs a wheelbarrow load of slow worms to combat the slugs. I’ve just had to move my pot of nasturtiums up out of their reach, or I’m never going to see any flowers for all the munching on leaves that’s happening. But, thankfully, no sign of cabbage white caterpillars, which are the more common devourers of nasturtiums! Perhaps I should start a business called “Slow Worms for Gardens”!